A Hartlepool Muslim association has deplored the Brussels terrorist attacks and says it “stands united” with the victims. Thirty-four people were killed and 200 more injured in Tuesday’s suicide bomb attacks on Brussels airport and its metro.We condemn terrorists and their deplorable actions David Dixon, originally from Hartlepool, who has lived in the Belgian capital for more than 10 years, remains missing. 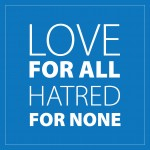 The Ahmadiyya Muslim Association Hartlepool says the terrorists from the so-called Islamic State network do not represent the real Islam.Association spokesperson Wadood Daud said: “We stand united with innocent victims of Brussels terrorists attacks.“We condemn terrorists and their deplorable actions. They are criminals who must be brought to justice.“They certainly do not represent true Islam and its peaceful teachings.”He added: “Ahmadi Muslims from Nasir Mosque Hartlepool have been promoting peaceful message of Islam since its inauguration in 2005. We regularly hold open days where people can drop in for a quick chat and learn more about Islam.” The most recent one was held last Saturday. Mr Daud said the Ahmadiyya Muslim community has been leading a peaceful revival of Islam since it was established in the UK in 1913 and stands for stands for education, integration and interfaith peace.“We are also committed to helping others, engaging local communities and working for the common good. On this we have a long history of raising hundreds of thousands of pounds for British charities,” he said.